Heather Ramirez joined First Western Properties in March of 2017. Her role with the company focuses on administrative and accounting tasks. 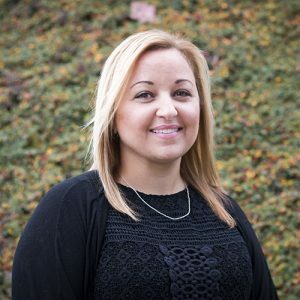 Prior to starting at First Western Properties, Heather worked many years in retail and hospitality industries where she acquired valuable skills of customer service, management, and accounting. She has enjoyed her time at First Western Properties because of the fun and exciting work atmosphere. Heather is a true people person and is proud of the strong personal and professional relationships she has built. Heather is happily married, with four children and two dogs. As a family they enjoy spending summer days at the lake and the soggy, winter days cuddled up watching movies. She enjoys traveling and gets to visit Mexico yearly to visit family. Her favorite place she has ever traveled is beautiful Venice, Italy.